Mission statements arose in response to what Levitt (1960) described as marketing myopia, whereby many of the problems plaguing US organizations were the result of businesses seeing themselves only in terms of what they did. Rather, they should have been doing so in terms of the customer’s needs that they satisfied. By failing to define themselves effectively, they became vulnerable to other alternatives that satisfied the customers’ needs more effectively, and were not able to alert themselves rapidly enough to the fact that customer needs changed. Mission statements have since become accepted as an important part of the strategic planning and implementation processes of organizations (Keller 1983; Pearce and Robinson 1991). Externally, they signal the organization’s professional identity, frame its choice of activities, and facilitate positioning vis-à-vis its competitors (Hartley 2002; Short and Palmer 2008). Internally, they help clarify the philosophy and intent of the organization to its employees and customers (Davies and Glaister 1997). The purpose of the study was to determine whether there are mission statements that help companies stand out or whether most organizations end up saying very similar things to others. Using the content analysis software, DICTION, we analyzed the mission statements of 110 Fortune 500 companies on Hart’s five dimensions of certainty, optimism, activity, realism, and commonality (Hart 1984a, b, 2000, 2001). We also used DICTION to calculate the following variables for each mission statement: insistence, variety, embellishment, and complexity. The preliminary results show that in many cases mission statements don’t serve as effective tools with which to differentiate firms and that many firms end up saying the same thing as most others. 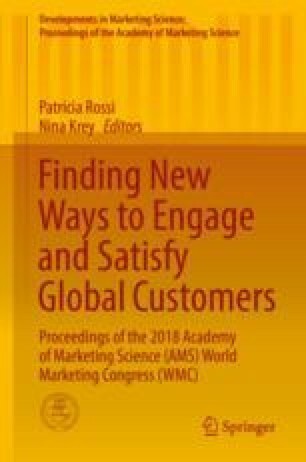 From a managerial perspective, the results of the study highlight the fact that managers should not view the mission statement as set in stone but rather as a malleable tool that should guide strategy and especially marketing strategy. As conditions in the business environment change, so too might the definition of business.